I've been reading Marcel Proust and John Ruskin on reading. Proust began to read Ruskin in 1897, when he gave up work on his novel, Jean Santeuil. After this, it would be ten years before he began making notes for À la recherche du temps perdu. During these years, reading Ruskin and then translating Ruskin from English into French became his major literary activity. He made the translation not because his English was good. He said, "I do not claim to know English; I claim to know Ruskin." Later, in the final book of À la recherche, Proust was to say that the task of the writer was not to invent in the ordinary sense of the term, but to translate that which is within every one of us. I had previously read Proust's piece called "On reading" which he had published in 1905 as the preface to his translation of Ruskin's Sesame and lilies. 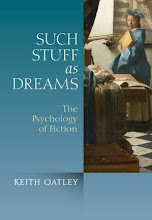 It is a lovely, thoughtful essay, which I have discussed before in OnFiction (click here). It has now been republished by Hesperus, along with a lecture by Ruskin entitled, "Sesame: Of kings' treasuries" (part of Sesame and Lilies) together with Proust's erudite and thoughtful footnotes on it that he added to his translation. Not far into his lecture, Ruskin says, on the subject of friends of the ordinary kind, that circumstances restrict our choice, and at this point Proust remarks in one of his footnotes, that "the idea seems very beautiful in truth because we can feel the spiritual use to which Ruskin is about to put it." 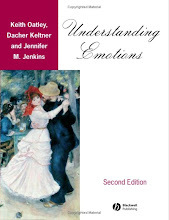 This use is what the lecture is about, the friends we can choose, "the main characters of the lecture: books." Books-as-friends is the idea, too, that Proust made the centre of his essay, "On reading." A book is essentially not a talking thing, but a written thing; and written, not with a view of mere communication, but of permanence … The author has something to say which he perceives to be true and useful, or helpfully beautiful … this, the piece of true knowledge, or sight, which his share of sunshine and earth has permitted him to seize. He would fain set it down for ever; engrave it on rock, if he could; saying "This is the best of me; for the rest, I ate, and drank, and slept, loved, and hated, like another; my life was as the vapour, and is not; but this I saw and knew: this if anything of mine, is worth your memory." 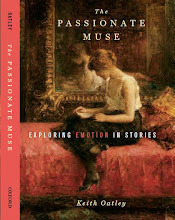 This became, I think, part of Proust's theory of art, and of what he would aspire to do for us, his readers. Proust, M. & Ruskin, J. 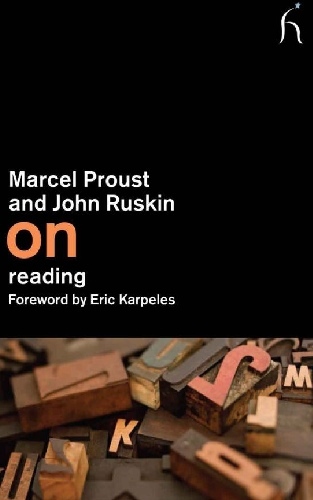 (2011) Marcel Proust and John Ruskin: On reading. (Ed & trans, D. Searls). London: Hesperus Press. Thanks so much, Fabio. I did not know this quote from Schopenhauer. It is lovely. 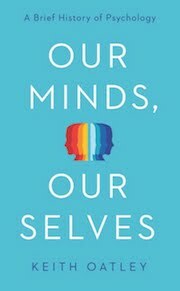 And I very much like the idea of "quintessence of a mind." I think this is right, though Ruskin made the distinction between what he called books for an hour and books for all time. I think it was books for all time that he would think contained this quintessence.